David Pruet's client-first philosophy guides his commercial litigation practice. Mr. Pruet focuses on commercial litigation for both corporate plaintiffs and defendants. He handles complex business disputes in an array of industries, including healthcare, energy, banking, private equity, securities, manufacturing, construction and commercial real estate. In these sectors, Mr. Pruet is often called upon to represent closely held entities ranging from well-established family businesses to startups. He is quite familiar with the unique demands that litigation can pose for these types of enterprises. With almost 20 years of commercial litigation experience, Mr. Pruet is well-schooled in navigating clients through matters ranging from massive document productions to preliminary injunctions to complex damage claims. 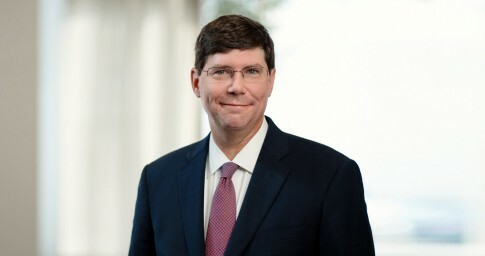 He is particularly skilled in defending and prosecuting claims involving shareholder rights, corporate and trustee fiduciary duties, trade secrets and noncompetition agreements. Mr. Pruet built his practice around a fundamental appreciation for his clients’ right to receive candid and reliable advice. At the onset of each case, he works with his clients to establish clear litigation objectives and potential solutions. Then, he diligently executes a strategy for achieving those outcomes through steadfast advocacy both in — and out — of court. Regularly recognized by Super Lawyers for his work in business litigation, Mr. Pruet holds an AV-Preeminent rating from Martindale Hubbell. In 2015, he was selected for membership in the International Association of Defense Counsel. Mr. Pruet is a proud husband and father of three children. He and his family attend the Cathedral Church of the Advent. Obtaining an injunction prohibiting a limited partner in a closely held transportation business from operating a competitive business. Obtaining a defense verdict in a zoning dispute that allowed a local developer to complete construction of a 100,000-square-foot mixed-use shopping center. Defending a corporation’s attempt to enjoin its bondholders from seeking accelerated payments on more than $2 billion in debt. Obtaining summary judgment, affirmed on appeal, in a commercial dispute involving an eight-figure damages claim asserted by a contract manufacturer of computer circuit boards. Negotiating a favorable settlement for a major retailer in a condemnation proceeding involving allegedly blighted property. Securing appellate relief in connection with numerous injunctions and discovery orders. Securing dismissal of a trade secret claim asserted against a defense industry contractor involving the alleged transmission of protected information to overseas entities.